The tale behind Table 10 is an interesting one, perfect for culinary storytelling. That's because the restaurant is named for table No. 10, the table at Emeril Lagasse's first restaurant where he and his team convened to discuss the construction of his now vast culinary empire, including the design, menus and staff at new restaurants, not to mention new ideas and existing philosophies. 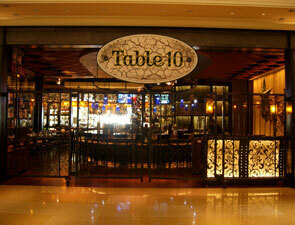 Indeed, Table 10 served as the hub for idea generation and the home for blueprints to Emeril's culinary kingdom. The original restaurant, Emeril's in New Orleans, opened on March 24, 1990. 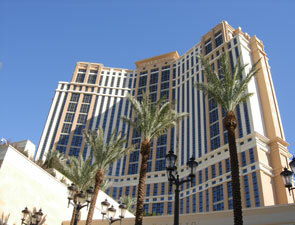 Emeril and his team ended each evening there at Table 10. Now, that famous table is receiving the recognition it deserves, as Emeril has opened a new restaurant named after it in the Palazzo, Las Vegas' newest and hottest resort-hotel-casino. There's even a "Table 10" at the restaurant, where you and your fellow foodies might want to draw up plans for your very own culinary empire; it's surrounded by electric privacy screens which provide for an extra level of exclusivity, so you need not worry about other foodies stealing your ideas. Dress Code: Smart casual. Gentlemen are requested to wear shirts with sleeves.